SmoothIT has partnered with the leader in online induction and training software to bring you – PowerHouse Hub. PowerHouse allows you to offer a custom self-registration portal for your suppliers. The self-registration process collects and records this data to generate and export certificates of compliance and reports. The digital signatures and automated annual re-certification tools provide automated workflows to manage your businesses. PowerHouse offers custom self-registration for your contractors. As part of the registration, the contractors select their business and add the data to your custom fields to ensure that you have all of the data you require. The system allows you to automatically re-induct your contractors annually or quarterly with custom email reminders. The process also allows you to require your contractors to designate or upload their documentation. This documentation can be easily customised to collect insurances, certificates and licenses. The addition of the expiry dates tool generates instant license expiry reports alongside your suite of status reports on your contractors. 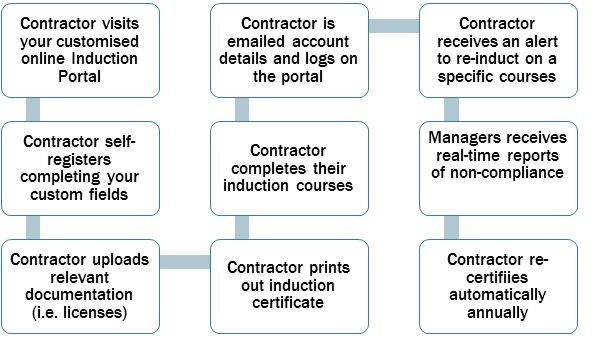 PowerHouse allows you to set up one induction course or add multiple courses to cover all aspects of your contractor induction. 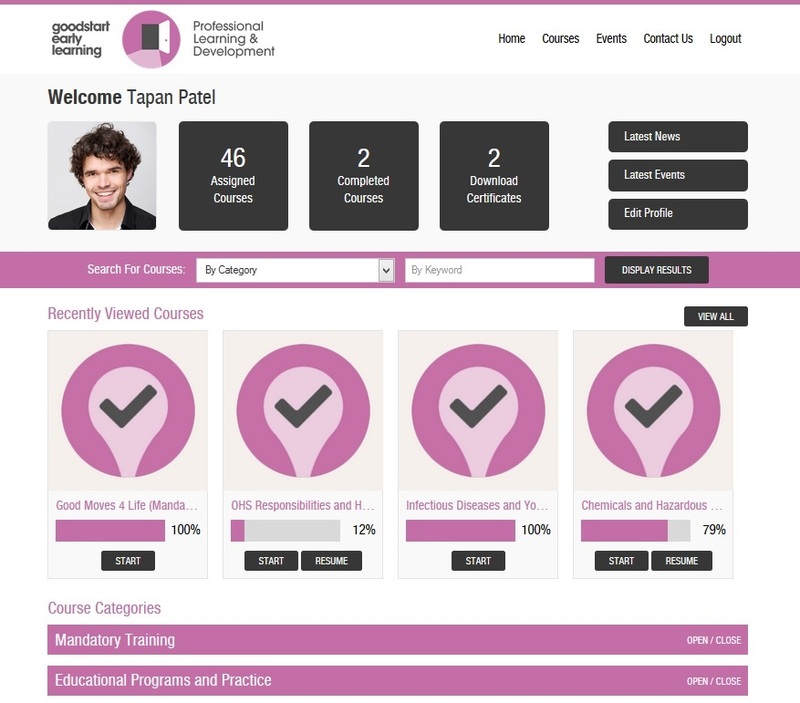 The system allows you to deliver an induction certificate per course or to group your courses into one training program and deliver a single certificate for the entire program. PowerHouse offers you the ability to group your contractors in specific training groups and assign one or managers to each group. The Manager Portal provides real-time visual reports on their team of contractors. The Manager can also register their team to attend training events and safety webinars. PowerHouse provides you with the option to upgrade the certificates to integrate with your security or proximity card solution. This solution also includes the option to add a QR code to the certificate or card to allow your security to scan their level of compliance. PowerHouse features an API to allow you to integrate specific datasets back to your CRM, Payroll or HRIS system. Our programming team use webservices and/or stored procedures to write compliant data to your central database. You also have the option to import and export your contractors directly into the training platform. PowerHouse partners with industry leaders to provide you with the option to license our library of workplace induction courses. The courses cover all harmonisation and safety courses and these can be customised for your industry. PowerHouse features the inbuilt, user friendly Course Editor for you to build your own courses quickly and easily. The Course Editor allows you to add all text, multimedia, pre-test and workplace compliance tests to your supplier portal. PowerHouse allows you to build unlimited Training Groups to reflect the wide range of contractors that you engage. Your groups could be based on location or industry and managers can be assigned easily to all groups. PowerHouse allows you to upload key documents and policies and publish these to a group or a selection of groups. These appear on the contractor’s dashboard alongside a streaming news feed that provides the latest training and safety information. PowerHouse features the inbuilt ability to deliver your customised Training Portal to your contractors on PC, Mac, iPad, iPhones, smartphones and tablets. We can also provide an offline version on USB to clients with Internet access issues. Contact SmoothIT to learn more about our software. Register for a free trial and Product Webinar.